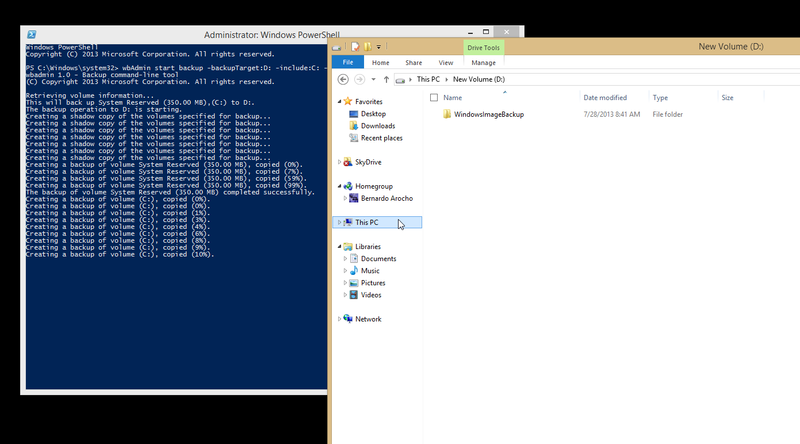 Microsoft decided to remove the system image backup feature from Windows 8.1. 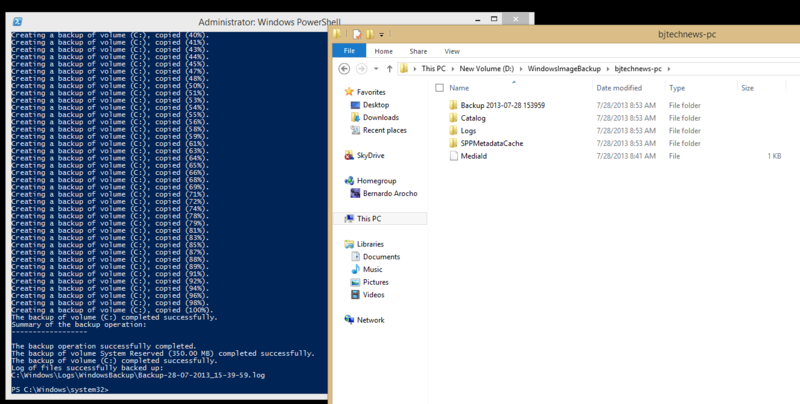 This isn’t entirely true — while the graphical interface for creating system images was removed, you can still create system images with a PowerShell cmdlet :). I ended the video short because it will take long, but check out the screen shot below to see what happened :) the process started and created a folder called "WindowsImageBackup"